Have you ever thought to yourself, “Man I would love a video game where I herd cats over platforms and spikes!” If you find yourself having these thoughts and are slightly a masochist, let me introduce to you Felis a cat herding simulator! 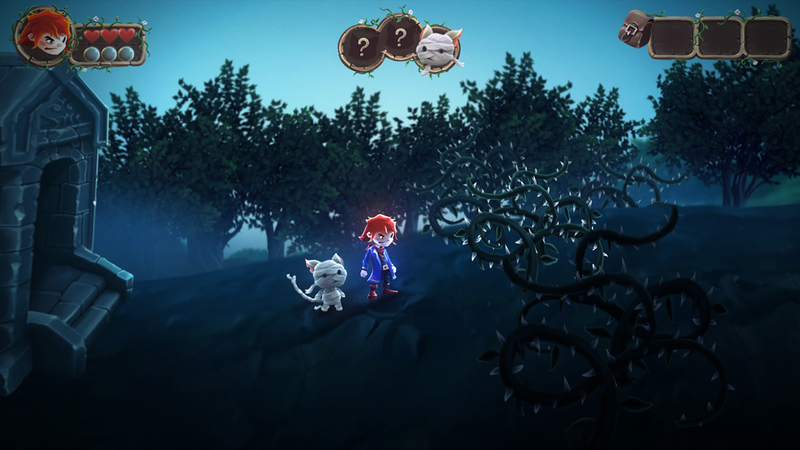 Felis is a splendid looking platformer all about saving cats in a colorful world full of nasty rats, dragons and fantasy whimsy. The basic break down of the story is this: ancient evil dragon gets stored in a bottle. Cats being cats, one of them is a jerk and knocks its over, spilling all the evil back into the world. 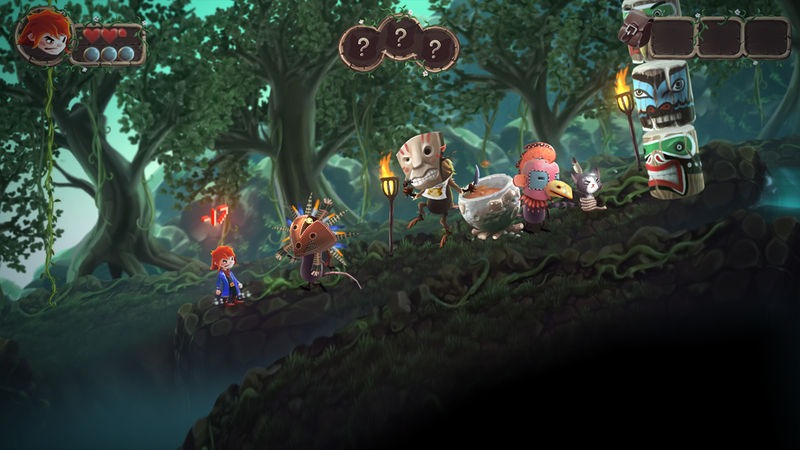 In the game, you play a weird ginger wizard who takes up the charge to save all the adorable kittens and punch his way to peace. Whats not to like? Cats, Magic, Punching? Its a formula for success and for the most part Felis does its best to deliver on these aspects. By far the thing that drew my eye to this particular title is its art, it’s fantastic! The trailer blew my mind with its smooth art, distinct visuals and to be honest, the adorable cats. I am sucker, I admit it. This resonates throughout the entire game as you go from creepy graveyards, snow capped mountains, and medieval castles. Each having their own adorably unique themed kitties. 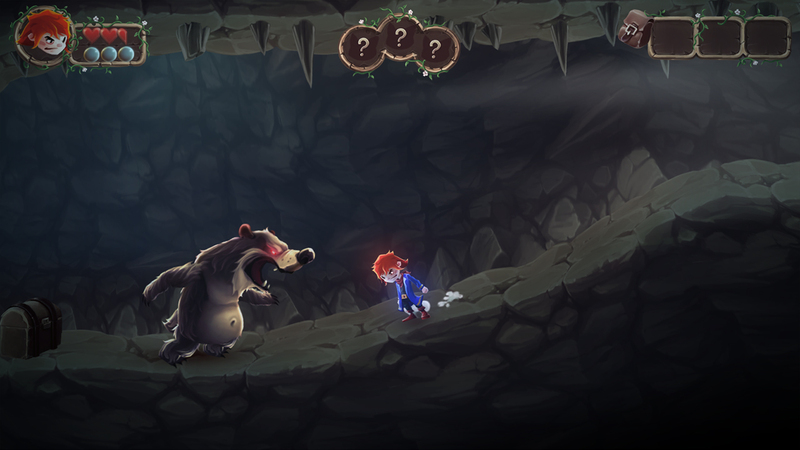 The game is made with the Unity engine which is a unique choice for a side scrolling platformer. Everything has a good fluidity and the characters never clash with the background or foreground. The whimsical fantasy creatures you fight also shine with the little details. The glowing eye of an eyebat as its just about to shoot a fireball, the stitched masks of Tiki rats. It’s these little things that give the game quite a bit of life. From a mechanics standpoint Felis is rather simple. There aren’t to many buttons to fuss over, despite the control set up not being fantastic. In-game button mapping would be a godsend but it’s nothing new to anyone familiar with Unity. You can jump, punch, and have an inventory system, that’s it. There is of course interaction with the environment, and you can pick up your feline companions to command them to stay. Which is pivotal to this game. There are also magic hats which give your character special powers. From fireballs, flying, and possibly more. I have yet to beat to the game, so I haven’t seen them all. One gripe I do have about this “hat system” is that these hats are rather rare and are easily lost from being damaged. So while their use is awesome, it doesn’t last very long. The basic goal is to get from A to B with all three cats intact and alive. Trust me when I say that is a friggin nightmare to pull off. I don’t wanna say the cats are stupid, but they are helpless, utterly. I wasn’t kidding when I said a cat herding simulator. You have to manually guide each of your cats over every trap, pit, and platform in the terrain. This can be quite frustrating at times as your cats are also very squishy and can die. If you are keen on bringing every cat to the end be prepared to replay levels over and over again until physics lines up in your favour. To be fair there is a checkpoint system that does vastly alleviate some of that stress. There are quite a few instant death scenarios when it comes to pits. Which did grate on my nerves a little. But hey its a platformer. Speaking of Physics, that brings me to my biggest issue when it comes Felis. Something is just off about the jumping in this game and I can’t put my finger on it. Your main character jumps like a wet sponge and lands like one too. It’s very hard to describe but jumping feels very awkward at times. Since jumping is the backbone of the gameplay, it makes things dicey. The other half of the game is combat. Which works just fine but is never really explained. You have three hearts and three bubbles, I have no idea what the bubbles are, and I still haven’t figured it out. It’s not a huge deal but little things like that are holding the game back for me. Jumping up a simple hill seems a challenge in a game about platforming. The inventory system works just fine but does pause the action to do simple things like open a door or chug a potion. Where assigning these features to a button and making it automated would be far easier than having to stop and fiddle. It’s a cool idea but in the time I had with Felis it didn’t seem like a hugely necessary system. Another thing I found odd was that the amount of cats you save are counted towards level progression despite being able to beat the level without the cats. So if you find yourself at the end of level with zero cats the next level is going to tell you to go back, which I found silly. Thankfully the developer is EXTREMELY proactive about patches, even noting to me by email that changes are being made and feedback acknowledged. This is why I love Indie developers, there is no pride, we all just wanna have fun and make a great game together. Felis isn’t a game without its kinks, but nothing worth its salt is easily made. Musically the game is par for the course and is done well. Sound effects follow suit and flow naturally with the themes and aesthetics of the levels themselves. The game does feature controller support but no steam cards/achievements. I imagine that is something on the developers mind. There is the occasional collision bug but the developer is taking care of them as they are reported. Replay value as of right now isn’t great unless you don’t save all the cats on your first run through. I can’t comment as to the length of the game having not beaten it, but I imagine somewhere in the neighborhood of two to four hours to complete the game, maybe more depending on amount of cats saved. In all, Felis has a ton of style in its world building and I think that is what I liked most about the game. It looks awesome and you can easily see the talent of the developer. There are certain odd decisions when it comes to game mechanics that left me scartching my head. It’s light on innovation but it does have some unique ideas. There is a Griffon for petes sake! Like I said if you love cats and vivid art then Felis might be up your alley. I recommend watching a video or two on this one but for the low price of $7.99 there isn’t too much risk involved when deciding to make your purchase. As always check back to B3 for all your Indie game reviews. I am off to go herd some kittens!